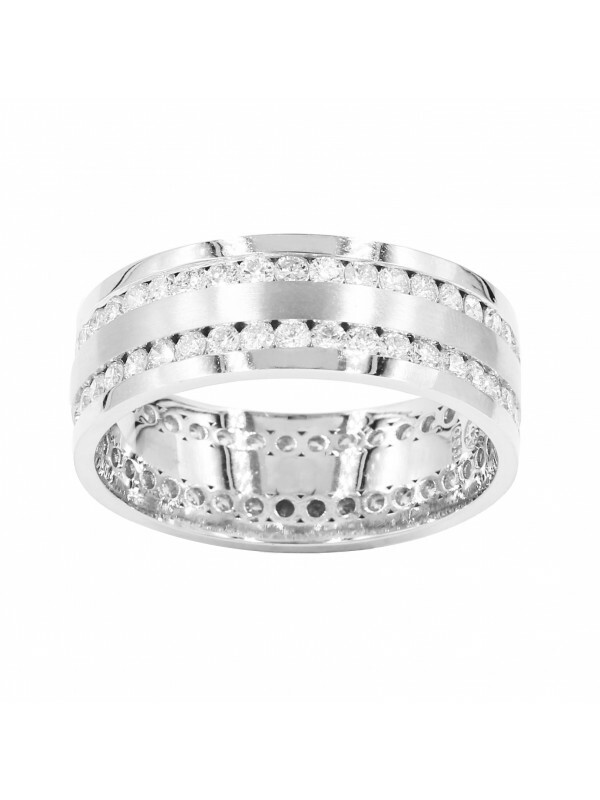 You are viewing a men's two row eternity diamond band. This band features 2.66ct of round cut diamonds channel set around the band. In between the two diamond row, the metal has a brushed finished, while the outside is high polished. This is available in yellow or white gold, made to order.